To fly like a butterfly . . .
Photo wallpaper - To fly like a butterfly . . .
To fly like a butterfly... Just for second... To touch clouds and come down to earth... safely, without any surprises... 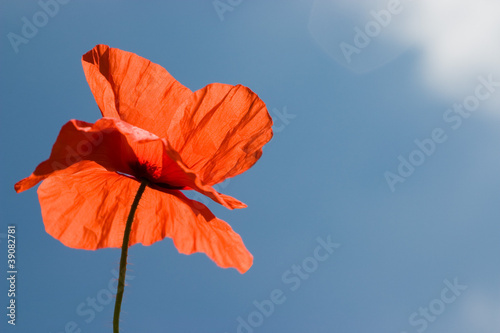 The photo wallpaper depicting a red poppy against the background of the sky will be a perfect complement of any interior. The proposal is great to both daily rooms and living rooms.